Winter weather and cold hands are something that just goes together, sort of like how cheese and wine are such a fine mix. Unfortunately, unlike cheese and wine, cold hands and cold weather isn’t a particularly pleasant or enjoyable mix. To help people who spend significant time outdoors and have problems keeping their hands warm, I’ve prepared this guide. Fortunately, there are several ways to tackle the problem of “cold hands” during the winter months, utilizing a mix of old methods and new technologies. If you suffer from cold feet, you might also want to read the article How to Keep Your Feet Warm on this website, too. If you’ve read the article about How to Keep Your Feet Warm, then you know that cotton is a horrible choice for use as a sock during winter weather. Cotton absorbs water and loses all insulating ability once wet. Even worse, wet cotton keeps your feet colder than if you wore no sock at all. Well, cotton is no different when it comes to the hands. Wearing a cotton glove is, quite simply, an invitation for cold hands. Eventually, a cotton glove starts to absorb a person’s sweat—leading to a wet glove. And once wet, the glove loses all insulating ability. Happily, unlike in the world of socks, cotton gloves are rather rare. Indeed, the only place I’ve seen cotton gloves recently have been at lawn and garden type stores (cotton gloves work nicely as summer gardening and light work gloves). Instead, most gloves today have synthetic or fleece insulation that keeps the hand warm and dry. In summary, when it comes to gloves, always “just say no to cotton.” If you can remember this rule, you are well on your way to having a warm hand. One common reason for cold hands is poor fitting gloves. In particular, gloves that are too large for your hands are a culprit in creating many cold fingers during the winter months. Remember, it is the body heat from your hands that keep a glove (or mitten) warm. A glove that is too large for your hands has significant air space inside the glove. Your body heat needs to heat that air to keep your hands warm. And the more air, the more heat is needed. The result is that on cold days your body heat can’t keep up with the heat loss from the glove—especially in the fingers. This leads to cold fingertips. If you suffer from cold hands—and in particular cold fingers—examine how your gloves fit. Are they snug against the top of your finger? Or is there a significant gap between the top of your finger and the gloves fabric? Ideally, there should be just a tiny air gap between your finger and the inside fabric of the glove. Just enough of an air gap to allow your finger to move freely but not so much that a big air bubble lurks inside each finger. If you discover the fingers of your glove have too much air space, then it’s time to start glove shopping for a pair that fits better. Or, if you like your current gloves, then consider trying out a glove liner. A glove liner helps fill air space and provides an extra layer of insulation (read the next section below for more information about glove liners). Glove liners function as a lightweight “inner-glove.” Using a glove liner is an excellent method to add extra warmth to any pair of gloves you own. A merino wool glove liner from SmartWool. Warm, soft and comfy. More info at Amazon. Glove liners for cold weather are not the same glove used at hospitals. Glove liners used in the medical profession are designed to protect the hand from “unpleasant things,” not provide insulation. By contrast, a glove liner designed for cold weather provides extra insulating ability. Typically, the best and warmest glove liners are made from Merino Wool—the same fabric, incidentally, used in SmartWool socks (which are some of the warmest socks you can buy). While merino wool glove liners are probably the most popular, synthetic and silk insulation also work well. Liner gloves provide an extra layer of insulation and extend the temperature range of your existing gloves. Liner gloves don’t hinder finger movement, so they don’t get in the way of day to day tasks. For tasks that require extra dexterity where a normal glove must be removed, the liner glove often can remain—thus keeping your hand somewhat warm. Liner gloves also work well as a normal glove when the weather isn’t frigid. 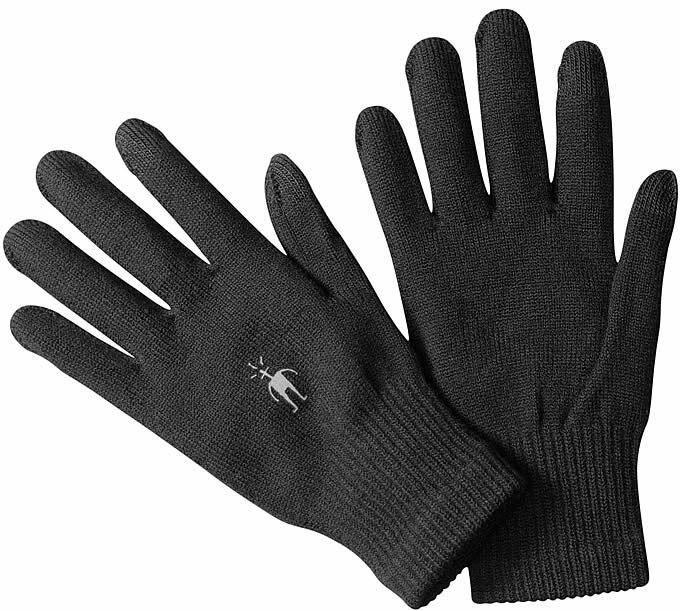 Liner gloves are also excellent gloves for runners and joggers during cold weather. What about disadvantages? Truthfully, I can’t think of any. Just be sure that if you decide to try a liner glove that whatever gloves you wear now have enough room to accommodate the liners. If your gloves provide a snug fit without a liner, most likely the gloves will be too tight while wearing a liner. Using liner gloves are a good way to “rescue” gloves that are too large. In particular, if you suffer from cold fingertips and you discover that your gloves are a bit too large; a glove liner might just be a perfect cure. If you decide to try a glove liner, by far the best place to shop for them is Amazon. It is rare to see much of a selection of glove liners in stores, even quality outdoor gear stores. Happily, Amazon has dozens and dozens of warm liner gloves, in a motley collection of sizes, colors and styles. Activated by air, chemical hand warmers have kept hunters warm for decades. To use a chemical hand warmer, just tear open the package, give the warmer a good shake, and stuff it inside a pocket or a glove (if you plan to stuff them inside a glove, be sure to buy ones designed for that. Many chemical warmers are too big to wear inside a glove). Thus, chemical hand warmers are excellent for occasional use. Just keep a box of them in the closet and open one when needed. A "Hot Hands" Chemical Hand Warmer. More info at Amazon. So what are the drawbacks? First, they aren’t reusable. Once the package is opened, the hand warmer must be used. Second, since chemical hand warmers need air, these types of warmers often perform poorly (if at all) inside boots—especially ski boots and other tight fitting boots that don’t breathe. Overall, for those who need a “dose of heat” periodically, chemical hand warmers are an excellent choice. 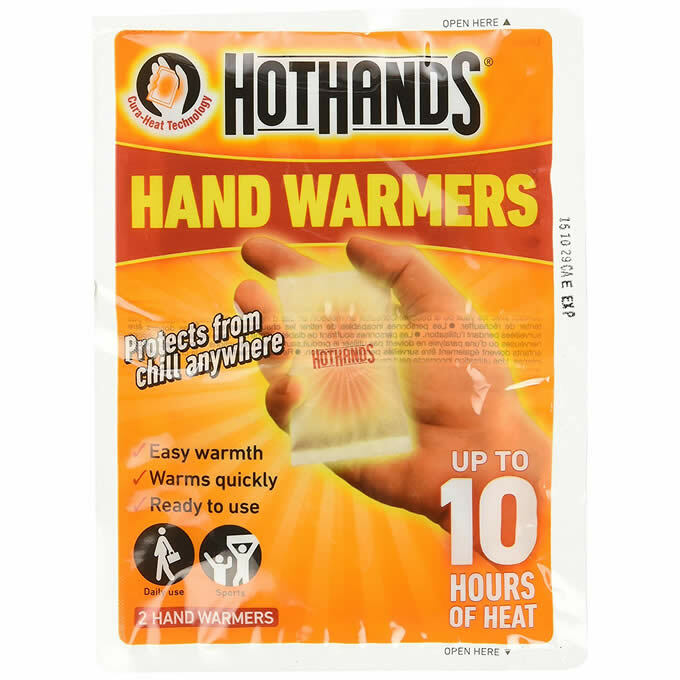 In particular, chemical hand warmers are perfect for hunters, those going to outdoor gatherings in cold weather (such as football games), cold weather campers, and even those taking long hikes during cold weather. However, for those who need a hand warmer for daily or around the house use, a battery operated hand warmer likely is more economical and convenient. The best place to shop for chemical hand warmers is, again, at Amazon. They sell a massive selection of hand warmers. Just be sure that if you are buying them for use in a glove, that you get the smaller and warmer...not a general chemical warming pack, as these general packs are often too large to fit inside a glove. Battery operated hand warmers aren’t a new invention. The problem is that old designs often worked poorly and sucked old-fashioned batteries dry in hours. The old designs were also often quite heavy. A USB Hand Warmer. More info at Amazon. Happily, technology has struck the battery operated hand warmer category, leading to many new designs. In particular, the new USB rechargeable hand warmers provide warmth in a lightweight, slim design. The USB hand warmers also do double-duty, since they can also recharge phones and other USB powered devices. So is a USB powered hand warmer for you? It depends on your particular uses and where you’ll be using it. If you need a hand warmer for wet or rainy weather, then stick with a chemical hand warmer. Water and electronics don’t mix. Hunters and others who are outside from dawn to dusk also likely will want to use chemical hand warmers, since they provide heat for longer periods. Finally, USB hand warmers aren’t meant for use inside a glove. Thus, if cold weather strikes and you need a heating source inside the glove, a USB hand warmer won’t work well. However, for around home, commuting and around town use, a USB powered hand warmer is ideal. 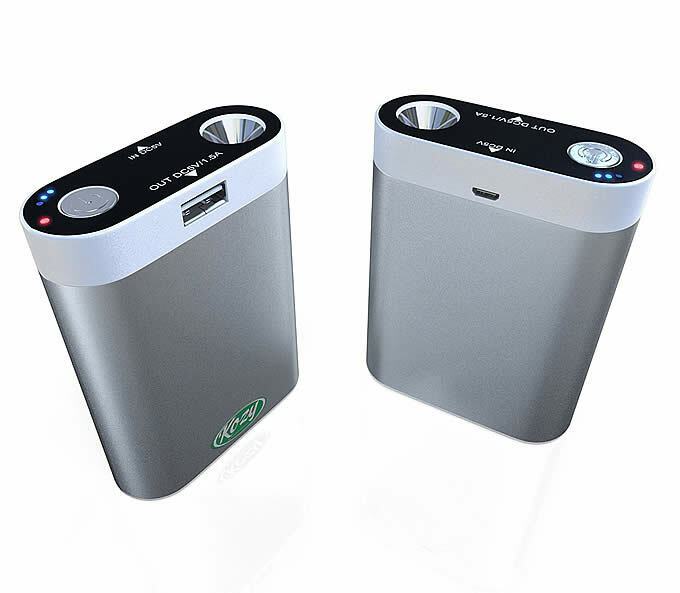 Able to fully recharge in just a few hours, USB hand warmers are far more cost effective for day to day use. Those who spend too much time using their phones will find USB hand warmer’s ability to recharge a phone an added bonus. USB hand warmers are also excellent for people who simply suffer from “cold hands” even when inside their homes. Just turn it on, wrap your hands around it, and your hands will soon warm up. When shopping for USB battery powered hand warmers, by far the best place to look for them is Amazon. It is rare to see these devices in normal retail stores. And I've yet to see these devices in specialty sporting good stores, such as REI, either.